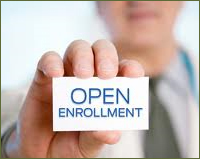 Medicare Open Enrollment is underway. This is a great time to review your plan to make sure it still meets your needs. Not only do your healthcare needs change, but the plans change over time as well. If we can help you compare your options, please contact our main office at 216-291-3902. Medicare open enrollment period ends on December 7. Please do not get this process confused with the Healthcare Marketplace enrollment process. Medicare recipients should not attempt to change or add insurance through the marketplace. This will also be a time of increased scams, due to the confusion about the process. As a reminder, NEVER give out your Medicare number or Social Security to someone calling you!